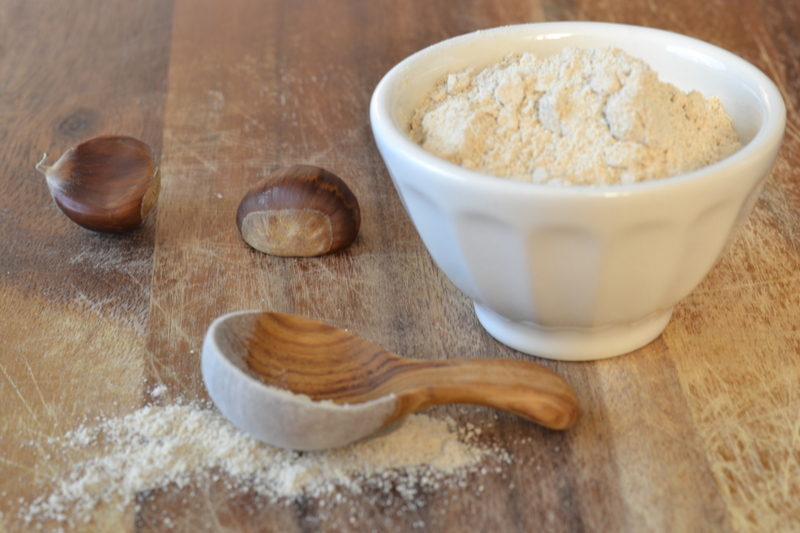 Chestnut flour is made from dry, finely ground chestnuts and it has a wonderful sweet flavor. You can use it in exchange of regular flour in a variety of baking recipes such as crepes, bread or pasta. You can find it in specialty stores. Chestnuts are low in fat and high in carbohydrates, they contain no gluten so can be used when someone is sensitive to wheat. Usually chestnut flour is added in a ratio of 30-50%; be aware that if you use a higher proportion the taste can be a little overpowering. 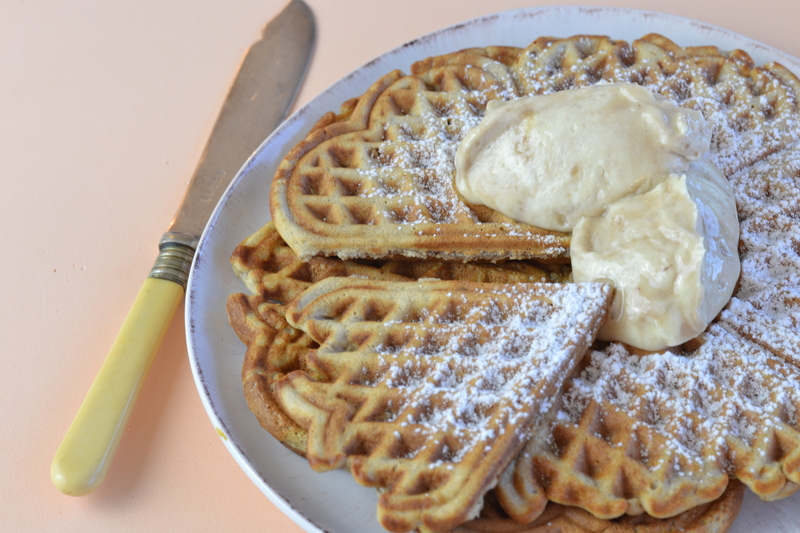 I like to make waffles on Saturday mornings, in the recipe below I have exchanged part of the regular flour for chestnut flour, that gives the waffles a mild sweet taste. I suggest you serve them with a delicious chestnut cream. Heat the waffle iron and then grease with oil. In a large bowl, sift the flours, baking powder and salt. Add the tablespoon of brown sugar. In a small bowl mix the milk, egg and melted butter. Make a well in the center of dry ingredients and then pour in the liquid ingredients. Mix. With the spatula spread the butter so that it almost reaches the edges of the waffle iron. Brush the waffle iron with oil before you make a new batch. In a small bowl mix the chestnut puree and 2 tablespoons of water to make it lighter. In a bowl whisk the cream, and gently fold the chestnut puree. Top the waffles with the cream and sprinkle a little bit of powder sugar over.